The holidays are in full swing and that means so are holiday wish lists, especially for the athletes in your lives. Hockey World has perfect gifts for all levels of hockey experience, whether a beginners and hopeful all the way to expert level. One of the hottest gifts this season is the all-new CCM Ribcor 40k, made with Technora Reinforcement Technology making it one of the most durable hockey sticks on the market. This technology creates a noticeably advanced durable stick perfect for anywhere on the ice including face-offs and in front of the net. The durability of this stick means you won’t have to replace it as often as others, which as you already know can be pricey. This hockey stick has been flying off the shelves since we first got it in early October. Get yours here! What better way to show your loved ones how much you love them than by buying them protective gear on the ice? 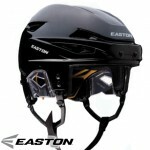 All Easton helmets are 25% off through the holidays and we also offer a number of other popular brands, all meeting safety standards. 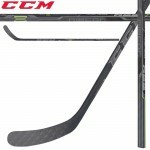 Another popular holiday item this season are the Bauer Supreme Totalone NXG sticks. 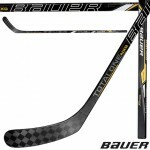 For example, our BAUER SUPREME TOTALONE NXG GRIPTAC STICK- JR is on sale for $139.99 (originally $199.99), along with a ton of other steals on the entire line of Bauer hockey sticks. You can also use the holidays as a chance (or excuse!) to upgrade all your old gear. 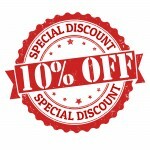 Hockey World is offering an additional 10% discount off all clearance items (use promo code DECCLEAR10 at checkout). For even more in-store specials or to solicit advice from our experts on the perfect holiday gifts, visit any of our 21 locations. And if you’re still unsure of what to get for the hockey lover in your life, we do offer gift certificates (one-size-fits-all) in any amount.